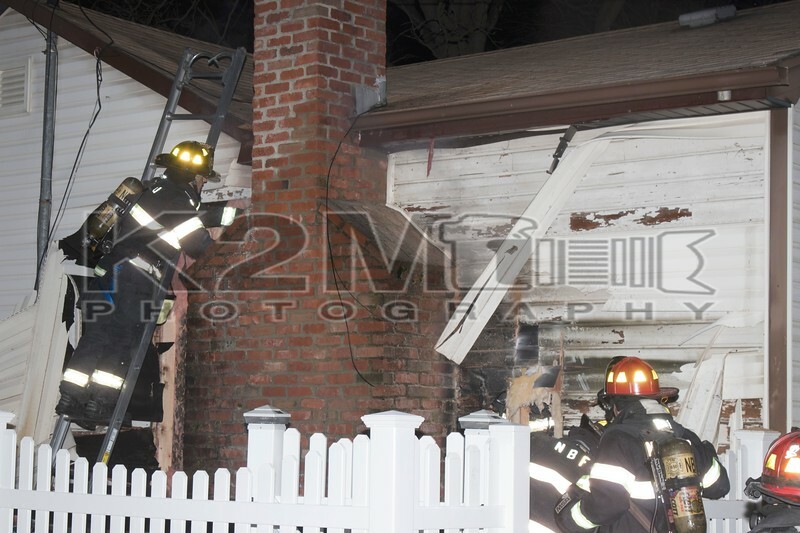 The North Bellmore Fire Department was called to a house fire in the dead end of Linwood Avenue off Poplar Street in the early morning hours of Tuesday, March 19th, 2019. Responding fire department units were advised by six five zero fire communications that one call was received reporting the side of the house on fire. A signal ninety-eight [smoke showing] was transmitted upon the arrival of Chief of Department George Serviss. Upon further investigation fire was found in the wall around the chimney area on the number two side of a one-story private dwelling. One hand line was stretched and put into operation off North Bellmore Engine 655. No working fire was transmitted, and the Nassau County Fire Marshal was requested to the scene. All fire department units were under the command of North Bellmore Chief of Department George Serviss . Click here to see the rest of the images from K2M Photography’s gallery, Linwood Avenue [3-19-19].